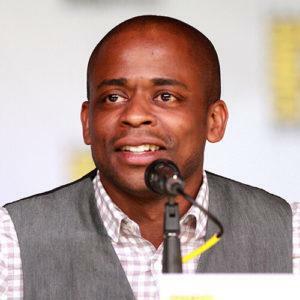 Emmy winner Dulé Hill (The West Wing, Psych) added his personal story to the book The Enough Moment, co-authored by Don Cheadle and Enough’s Founding Director John Prendergast. His story was part of an entry co-written by cast members of The West Wing. In 2014, Hill hosted an Omaze fundraising contest to benefit the Enough Project, Not On Our Watch, and the Satellite Sentinel Project.